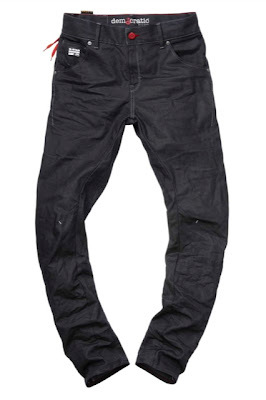 The Stylist Den: Dan goes to Democartic style G-star event. Preview. Dan goes to Democartic style G-star event. Preview. 12th of March 2011. 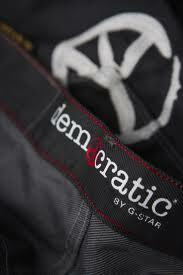 Democratic by G-Star second event at Coin shopping boutiques ( Italy). A limited number of G-Star Arc pant jeans will be sold at the special price of €10 and the proceeding will go to ActionAid in order to build a school and a well in the district Wonde in Sierra Leone. The event will start at 11am and you'll have a number to get in the venue and buy just a pair of jeans. 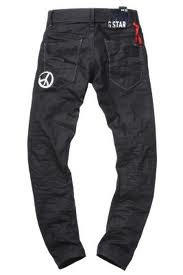 I'm going to the one in Rome, straight from work, both to see how the pants look like and fit for real and to give my little help to ActionAid. I'll take pics and post the full article very soon! 12 marzo 2011. Il secondo evento Democatic by G-Star nelle boutique Coin in tutta Italia. Un numero limitato del jeans modello Arc verrà venduto al prezzo specile di €10 e il ricavato andrà ad ActionAid per costruire una scuola ed un pozzo nel distretto di Wonde in Sierra leone. Io ci andro',in quello a Roma, dritto dritto dal lavoro, sia per vedere e provare i jeans dal vero e per dare il mio piccolo contributo ad ActionAid. Farò delle foto e pubblicher' il post completo al piu' presto! In Milan the event will have as a special guest the Italian actress Laura Chiatti. In Rome? Nobody?? Ah bother! A Milano l'evento avrà come opsite d'onore e madrina Laura Chiatti. A Roma? Nessuno?? Ah cavolo!